In 2007 Michael Bay broke my heart with the release of Transformers. He took characters that I’d been in love with since I was a child and turned them into unrecognisable walking piles of scrap metal. So when I heard he was going to tackle the Teenage Mutant Ninja Turtles next what was left of my inner child’s heart sank again, so I just ignored it. Then I see an announcement for a sequel and that they’re adding Rocksteady, Bebop and Krang who’re my 3 favourite TMNT characters. I just had to know, everything in the universe was telling me not to watch this movie but I did and guess what? I liked it. As you can probably imagine I was watching this movie with a very critical eye, trying to find faults. 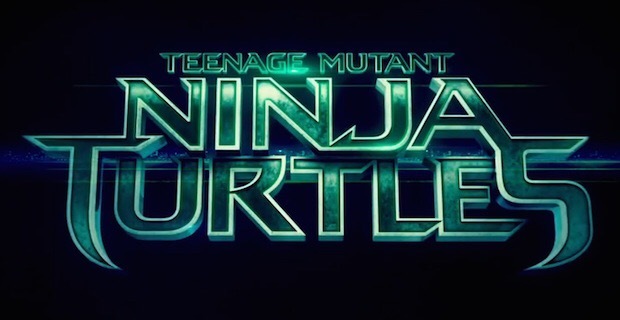 I was initially worried they were trying to do a gritty reboot and in doing so would lose TMNT’s charm. The first warning bells started going off when I saw this movies version of The Foot Clan. Instead of ninjas they’re more of a masked private army with assault rifles and grenades. They probably thought people weren’t ready to accept a criminal ninja group in a realistic setting (luckily that didn’t stop the guys over at Netflix’s Daredevil). We get our first glimpse of a Ninja Turtle at the docks as a bunch of armed thugs are taken out 1 by one by a shadowy figure amongst a bunch of shipping containers (just like Batman Begins). This is witnessed by junior reporter April O’neil (Megan Fox) who’s the only one in town trying to get evidence on the evil ninja gang apparently. She’s followed around by Vernon played by Will Arnett doing a low key Gob Bluth impression. She eventually meets the turtles on a rooftop as they celebrate successfully stopping our heavily armoured Foot Clan again but she faints once she realises what she’s looking at. The turtles look hideous, which I think is great. Honestly that’s what I would expect a bunch of mutants who grew up in a sewer to look like. Their individual characters were pretty much spot on too. 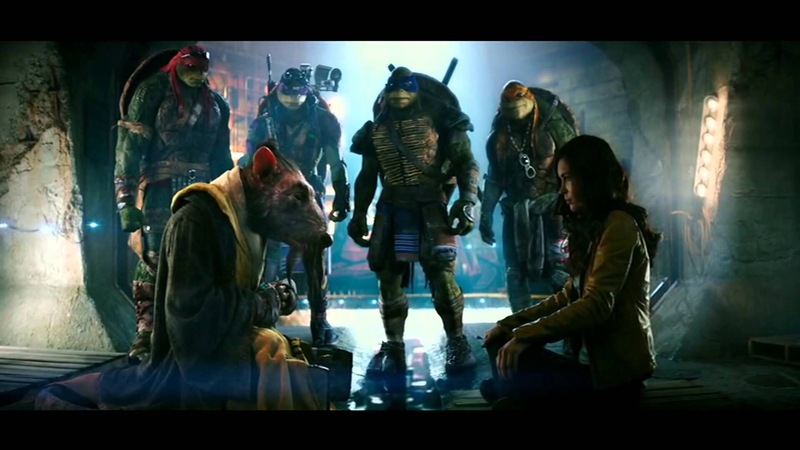 Leonardo leads the group as he always did and tries to enforce Splinter’s (the turtle’s radical rat father) teachings. Donatello is the tech nerd of the group, he does machines and helps them with any computer problems they face. Raphael is cool but crude (gimmie a break), he’s the tough guy who always wants to run headlong into battle and is constantly butting heads with Leo. Lastly we have Michelangelo the resident party dude, he’s the baby of the group and is usually more concerned with cracking jokes and eating pizza than fighting. One thing that weirded me out was that Michelangelo was always trying to hit on April. It would have been fine as a throw away line here or there but he just didn’t let up, even in the face of grave danger the bad pickup lines just kept coming. Speaking of danger, we do have a classic TMNT villain in this movie too. The Shredder! And he’s got a giant robot suit made of knives! This was another part that worried me about this movie when I saw early pictures. He kinda does look like a Transformer but in the actual movie he’s pretty terrifying. There were actually times I thought he was going to murder Splinter, some of the fight scenes were pretty brutal which I wasn’t really a fan of. I get that they want to create suspense and real life consequences but I didn’t ever want to see Splinter get beaten half to death or see Shredder step on Raph so hard that his shell starts to crack. For the next movie I hope they let us see a bit of Shredder’s more goofy side that we saw in the 80s cartoon. Krang and Shredder were great together, they would bicker like an old married couple that were stuck with each other forever. Shredder does actually say his classic “Tonight I dine on turtle soup” line but it’s in Japanese and without a hint of levity. I genuinely liked this movie, it was by no means perfect and you won’t see any oscar worthy performances here but there is some fun to be had. The fight choreography was pretty good as well, the highlight for me being when Splinter got involved, never has he looked so cool beating people up and using his rat tail to throw people around. I can only hope that this movie was them getting all their semi-serious backstory out of the way so they can focus on stupid fun in the sequel. 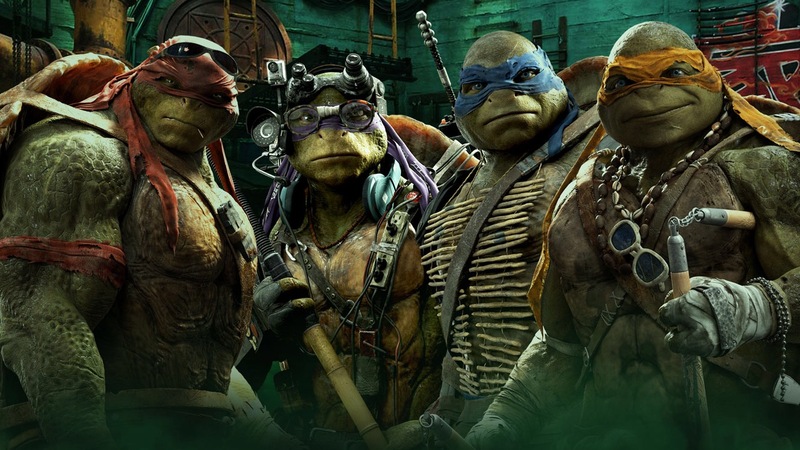 I want to see all the dumb stuff from the cartoon in live action: Bebop, Rocksteady, Krang and his robot suit that looks like a giant baby with sunglasses, Baxter Stockman as a mutant fly, Casey Jones, alien triceratops people, mouser robots, the turtle blimp, mutant pizza monsters, the Technodrome and anything else they’ve got the rights to.